Home » NHW News » Latest News » Local Crime Update – 7 days ending 5.4.19. NB. Under the Data Protection Act, we are advised we should not usually identify, or provide information that can identify an individual. In such cases an asterisk may be used in place of one letter of a suspect vehicle. Theft of £700 Ted Baker clothes from store High Street, between 3.45-3.55pm 1.4.19. Suspect, woman 23-24 yrs, 5’7”, pierced lip, bleached blonde hair. Theft of flowers from graveside in Oakham Cemetery, Kilburn Road. On two occasions, between 19-28.3.19, flowers removed and thrown in waste bin. This is extremely distressing; if you see anyone behaving strangely please report this together with their description (photo) to the local Police. Whitwell –theft of Combi trailer value £670, from Rutland Watersports Centre, Bull Brigg Lane; during the ‘off season’. Used to transfer Topaz dinghy. Chain securing dinghy cut and cover damaged beyond repair (value£110). Stretton – attempt theft from lorry, parked Great North Road. Driver awoken 3.30am 2.4.19 by noise (2 security seals cut). Suspects: 3 males, two stocky build, 5’7” with tights over their head, third with vehicle. Drove off in Vauxhall Combi off white Berlingo van index believed YK63 U*S.
Ashwell – theft of number plates, (AJ09 KRK) from vehicle parked Water Lane, between 5.30pm-10pm 4.4.19. Empingham– Criminal Damage to vehicle in Medical Centre car park. 5pm 2.4.19, following argument over parking, paintwork of vehicle found to have been scratched. Ketton – Criminal Damage to vehicle in Wooton Close. Following argument over a dog, paintwork of vehicle found to have been scratched (overnight 29/30.3.19). Barrowden- two cases of theftfrom vehicles parked near 8 Arches Farm, Seaton Road, whilst owners walking dogs (date not noted). Windows smashed. Stolen: orange Prada handbag, various house and car keys (Golf) on pink feathered key ring. Plus, Kipling wallet, Christian Dior sunglasses and driving licence in name KORS. Ketton – theft of number plates (LP61 VXZ) from vehicle parked in Manor Green, overnight 3/ 4.4.19. 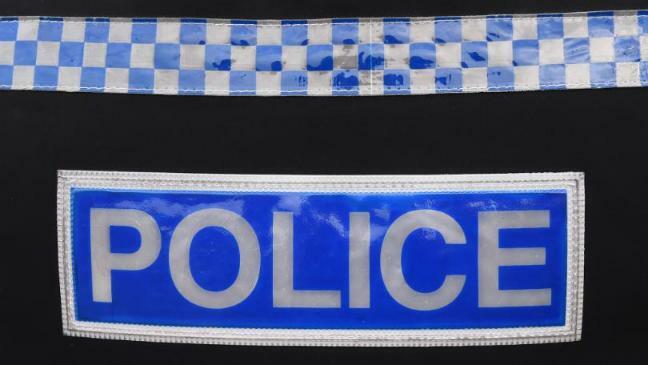 Ketton – theft of number plates (FG65 SZT) from vehicle parked outside Chater Lodge, High Street, between 1.35pm-3.50pm 3.4.19. Uppingham, Criminal Damage, to farm gates, Stockerston Road (back onto B664), between 10.30m-10.50am 2.4.19, bolt croppers used to open gates. Field contains sheep and farm machinery, both potential targets. Theft of sheep and farm machinery is a serious problem and because of isolated locations difficult to spot. If you are out walking, please pay attention to probably 3 males with a vehicle/van loitering or acting suspiciously; genuine farm staff will often be working singly and be too busy to ‘loiter’. Do not intervene. If possible, record the index and pass this to both Police (on 101) and the local farmer if known, the latter have local comms between other farms and can pass it on quickly. We are lucky in the area we live, but don’t be complacent, we must be observant and act to preserve what we have. Do not make Rutland a ‘soft touch’ for thieves. Next post Local Crime Update – 7 days ending 13.4.19.